Lorette and Jasmin’s story is quite an unusual journey. There was no indication that Lorette – who wasn’t even known as Lorette back then – would one day be at the helm of a designer and vintage consignment boutique. Indeed, she started out as a food industry executive! But everything changed when Lorette moved into a new flat a few years ago. Seeing her drowning in a sea of clothes, her next-door neighbour told her about the local consignment shop, tucked away in a quiet street of Paris’ 16th arrondissement. “Passy Puces”, founded 40 years ago by Marie-Hélène Julien, had been a staple of that corner of Auteuil ever since. Located a stone’s throw from the Apprentis d’Auteuil, this consignment store was lucky to have an excellent network of consignors and trusted customers. Lorette became a frequent consignor herself, and befriended the owner in the process. So, when Marie-Hélène decided to sell her shop, she naturally approached Lorette, hoping that she would agree to take care her “baby”. Though a little taken aback at first, Lorette was tempted by the unexpected offer, and she said yes, convinced that there was great promise in the vintage clothes she loved so much. The year was 2011. To make her mark on the consignment store, Lorette gave it a most uncommon name. Conveying ideas of freshness and perfume, the word “jasmin” is a nod to the nearby rue Jasmin, and to Lorette’s soft spot for old-fashioned first names like Louisette or Colette. But Lorette it would be. 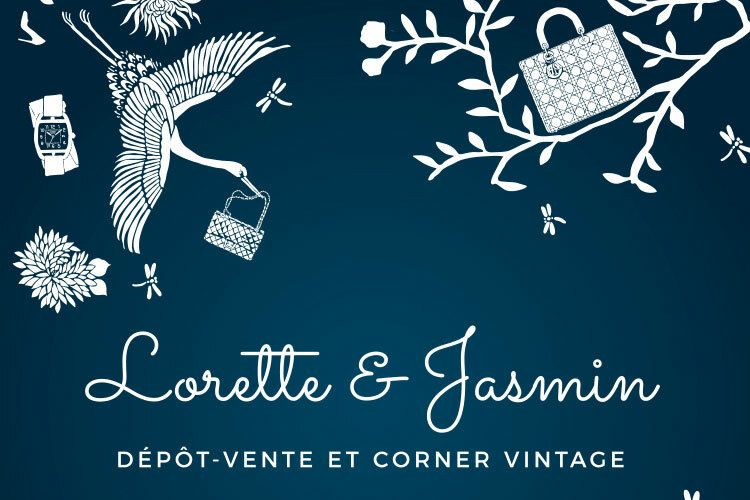 “Lorette & Jasmin”, the Parisian designer consignment boutique and vintage corner, was born. Lorette then launched her handbag rental service, which journalists were quick to baptise the “first handbag bar in Paris”.